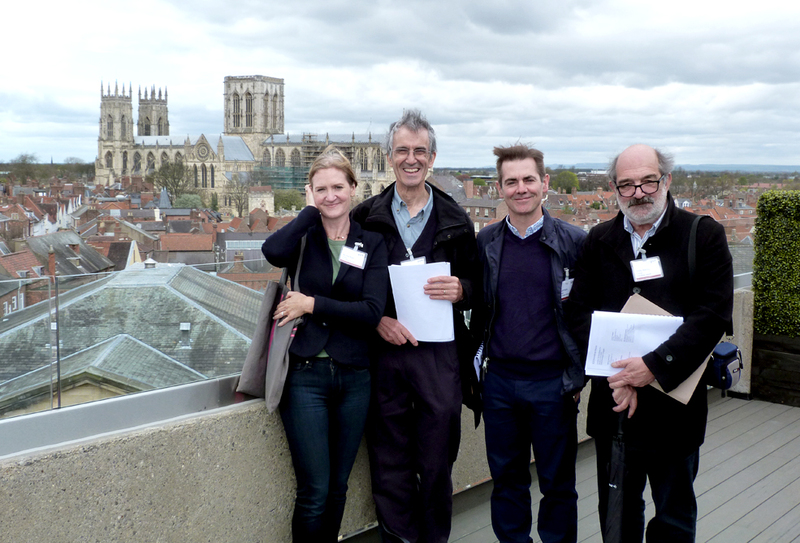 The York Design Awards judges were accompanied on some of their site visits by York Press features editor Stephen Lewis, and also gave an interview to That’s York TV. In a hectic two-day jaunt around nearly 30 projects the four judges – Andy Davey, David Heath, Nicky Rutt and Geoff Rich – took in everything from the revamped Mansion House, the Cosy Club restaurant in what used to be a furniture store (and before that was the Electric Cinema) on Fossgate, York Minster’s restored Great East Window, Stonebow House, the Assembly Rooms – and the new skate park at Rowntree Park. The awards are almost unique in being independent, and in having a panel of judges visit every entry. And there is no doubt that they are helping to drive up the standard of building design in York. The York Design Awards, held every year, aim to ‘celebrate and encourage good design in the city’ – whether it be a new housing development, hotel or office complex, the restoration or refurbishment of an existing building, or an imaginative new public space. The winners of this year’s awards will be announced at an awards ceremony at the Ron Cooke Hub at the University of York on June 25. Most categories will be decided by the judges. But readers of The York Press will also be able to choose their own favourite project to receive the prestigious Press People’s Award. An exhibition of all the entries will be held at York Explore central library from June 4-10. Members of the public will be able to cast their vote for the Press People’s Award there, and on the York Press website www.yorkpress.co.uk in June.